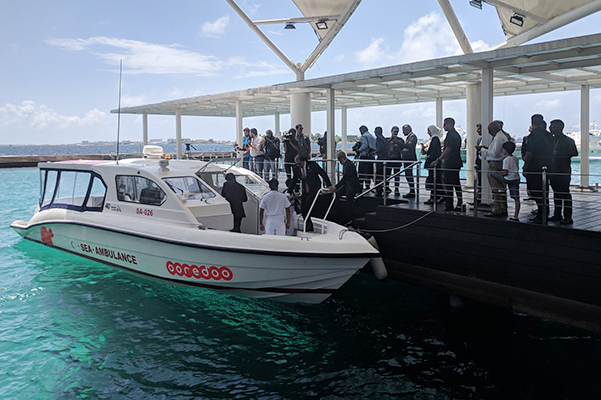 Ooredoo donates Sea Ambulances to Ministry of Health, as part of commitment to the UN’s Sustainable Development Goals. The donation aims to support the nation’s existing sea ambulance fleet, which operates from across the country and plays a vital role in delivering health care to people living throughout the highly dispersed islands. The event was attended by Chairman of Ooredoo Group, HE Sheikh Abdulla Bin Mohammed Al Thani; Minister of Health, Hon Abdulla Nazim Ibrahim; Minister of Economic Development, Hon. 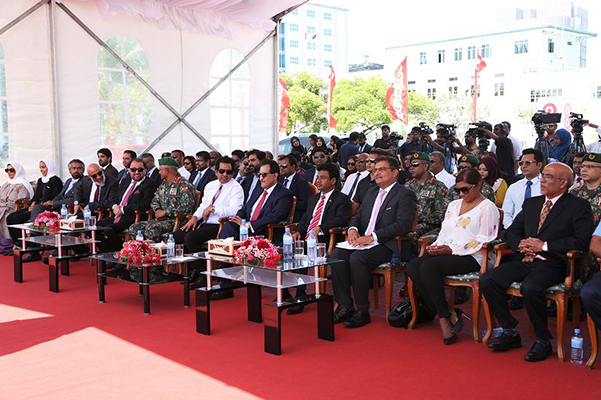 Mohamed Saeed; Minister of State for Defence and National Security, Mr. Mohamed Zuhair, Vice Chief of Defence Force, Brigadier General Ahmed Shahid; Deputy CEO of Ooredoo Group, Waleed Mohamed Al-Sayed; Chairman of Ooredoo Maldives and Ooredoo Group Chief Officer Small and Medium Business Unit, Khalid Al Mahmoud; and a number of key stakeholders from the government of Maldives, Ooredoo Group and Ooredoo Maldives. Minister of Health, Hon Abdulla Nazim Ibrahim said: “Maldives being a small island nation with a unique geographical topography is home to a highly dispersed population, resulting in significant challenges in the provision of health care services to the facilities inclusive to all islands. The country has made significant progress in its health status and development indicators over the last decades. One of the key focuses of the current government is to provide access to quality health services in an affordable, equitable and accessible manner. Government of Maldives introduced Sea Ambulances in 2015 to ease the transportation of patients across the country. 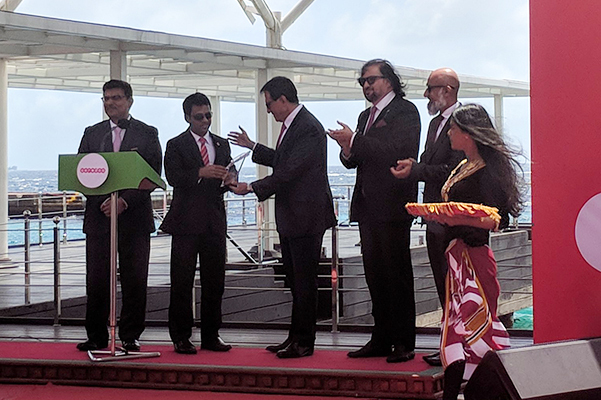 Ooredoo has been exceptional in its support for the people in the Maldives and we appreciate their initiative in recognizing the significance of the issue and adding state of the arts vessels to our Sea Ambulance Fleet. 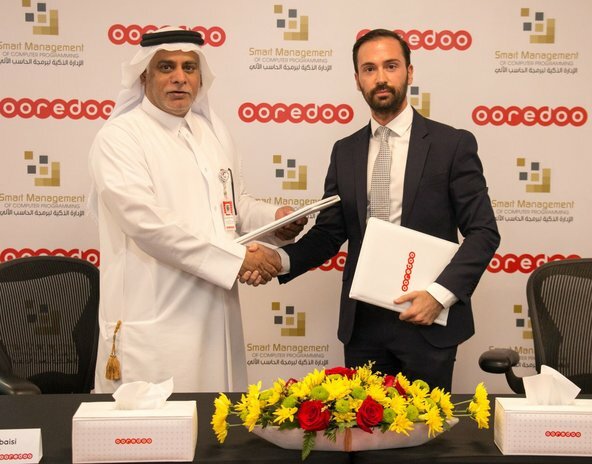 A global initiative undertaken by the company, Ooredoo Mobile Health Clinics travel to rural and remote communities to provide free medical treatment, share nutritional advice and distribute vitamins. The program aims to play an educational role, teaching parents and children about the importance of a healthy lifestyle and of disease prevention. Along with its partners, Ooredoo aims to expand this program to smaller islands in the Maldives, which can truly benefit from the program. The donated Sea Ambulances are 40 foot long with two patient beds, and can hold up to 12 passengers at a time. The vessels are also installed with a state of the art navigation and communication systems. They are fully equipped with two oxygen cylinders along with other items of essential safety equipment. As a community focused company, Ooredoo Maldives will continue to work together with local stakeholders to enrich the digital lives of its customers and facilitate new and exciting opportunities for social and economic development in the Maldives. Ooredoo Maldives provides a wide range of innovative voice and data services tailored to the growing needs of today’s consumers and businesses. Guided by its vision of enriching people’s lives and its belief that it can stimulate human growth by leveraging communications to help people achieve their full potential, Ooredoo has transformed the telecommunications industry for the people of the Maldives. With the aim to open up the opportunities of the digital age to local communities and businesses, the company continues to invest in the most advanced technologies and innovations, providing the largest and only nationwide 4G+ network in the Maldives. Ooredoo Maldives generated revenues of US$104.6mn and a Net Profit of US$ 31.9mn as of 31 December 2016.